Since November, the US military has increased its air raids against Taliban positions, training camps and their heroin laboratories, which are an important source of revenue. Kabul: The United States welcomes Afghan plans for peace talks with the Taliban but will keep up pressure on the terrorists until they are concluded, the US ambassador said Thursday. After an international peace conference in Kabul, Afghan President Ashraf Ghani on Wednesday unveiled a plan to open talks with the Taliban, including eventually recognising them as a political party. In the first US reaction, ambassador John R. Bass hailed Ghani's "very courageous stand" and his "commitment to pursue a peaceful settlement through talks" after more than 16 years of conflict. "We reinforce our call to the Taliban to begin direct talks with the Afghan government with no preconditions," Bass said. "We have called on the Taliban to cease violence and we all wait to see how they will respond" to the conference declaration on the Kabul Process. "They have indeed been feeling the pressure on the battlefield, the pressure on their drug revenues and their financing," he said speaking to foreign correspondents in the Afghan capital. "With this unified call they are now feeling more pressure from a range of regional actors. But until we do see results we are going to continue to support the Afghan forces," the ambassador stressed. There has been no immediate response to Ghani's offer from the Taliban. However the group's spokesman Zabiullah Mujahid criticised The Kabul Process, tweeting that the conference sought the Taliban's "surrender". Bass said it was "a pretty significant achievement indicating that all the countries of the region want the conflict to be resolved and all are prepared to help," including Pakistan which is regularly accused of supporting the insurgents. The peace offer comes one month after a wave of deadly attacks hit Kabul at the end of January. 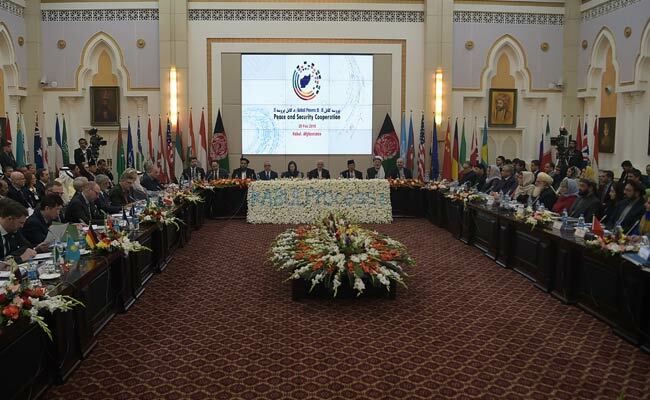 Representatives of more than 20 countries, including the US, as well as the United Nations, took part in the second meeting of the Kabul Process, which Ghani initiated last June.